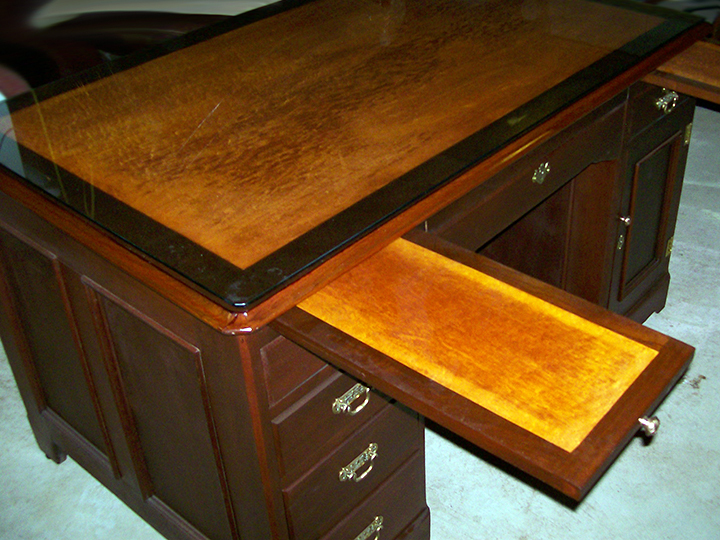 This desk is a family heirloom used in a doctor's home office. 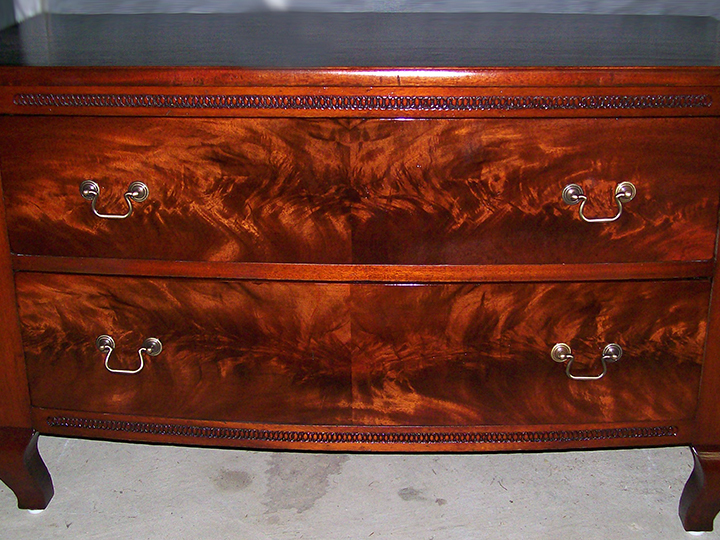 A family heirloom restored to its original beauty! 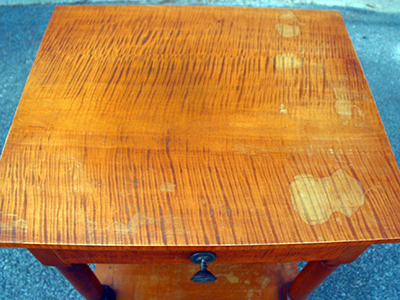 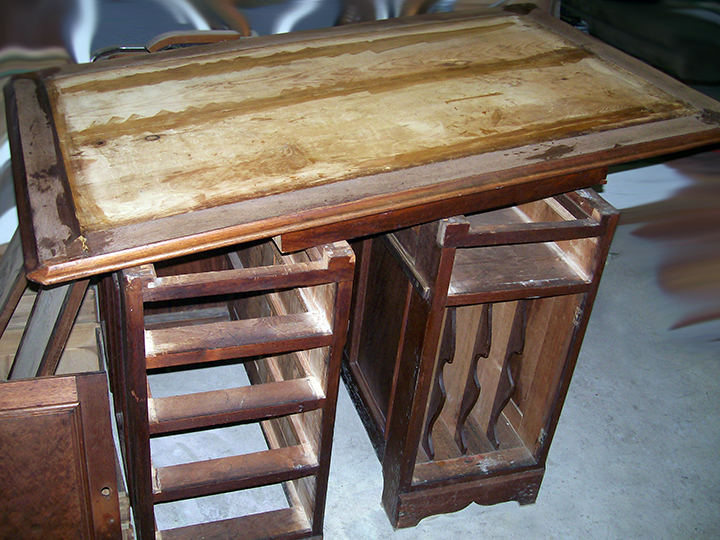 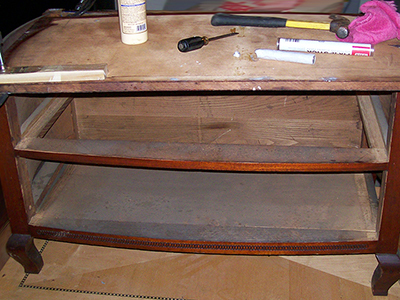 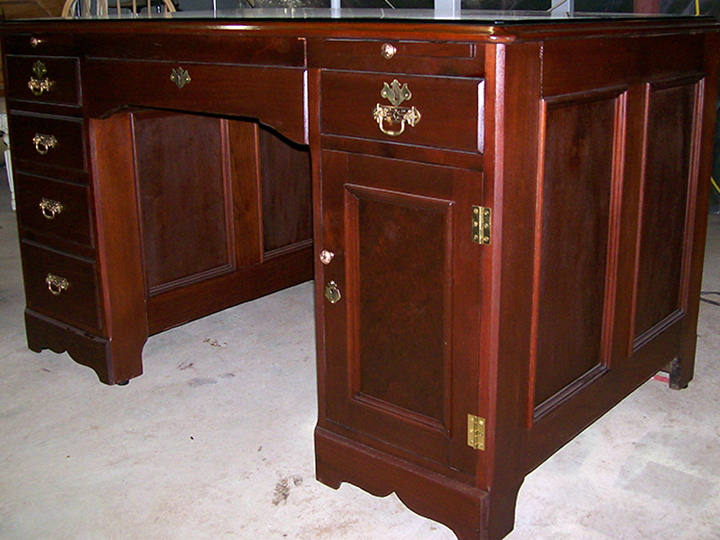 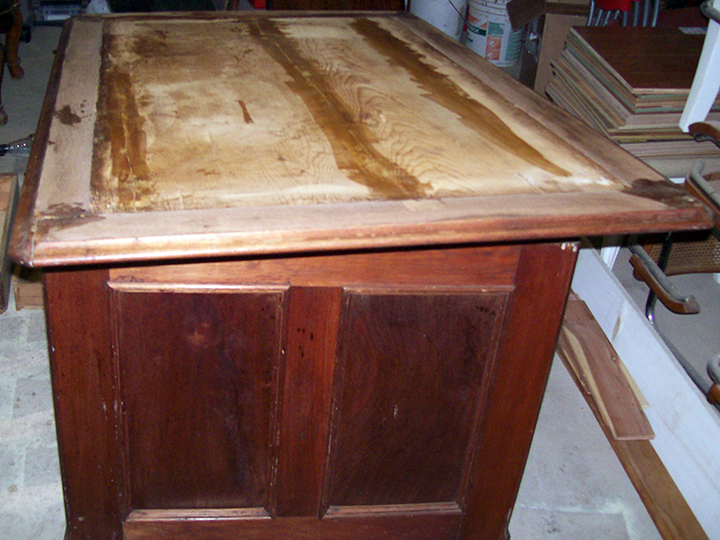 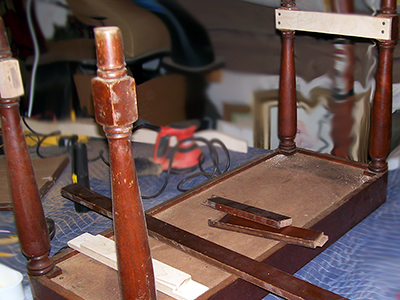 After years of use, the desk was in need of a complete restoration. A top view of a restored family heirloom. 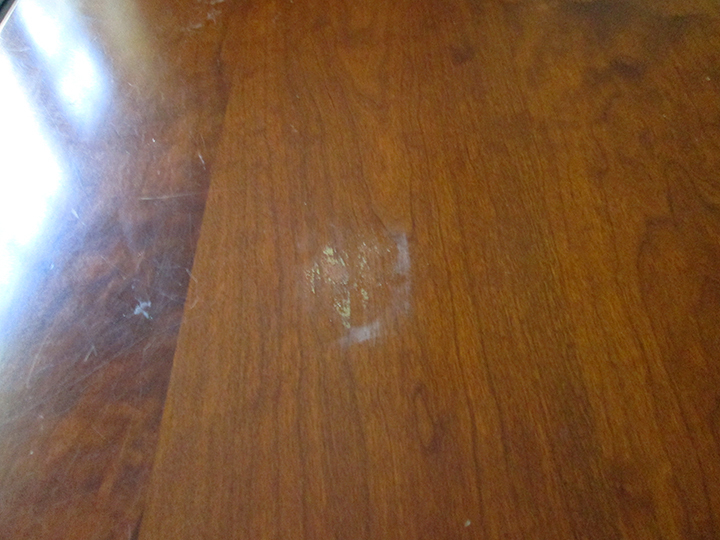 Damage from a hot plate placed on the table top without a trivet. 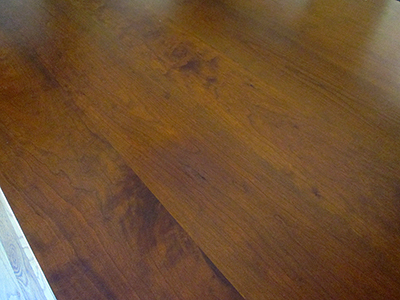 The damaged surface was repaired and restored to match the existing finish. 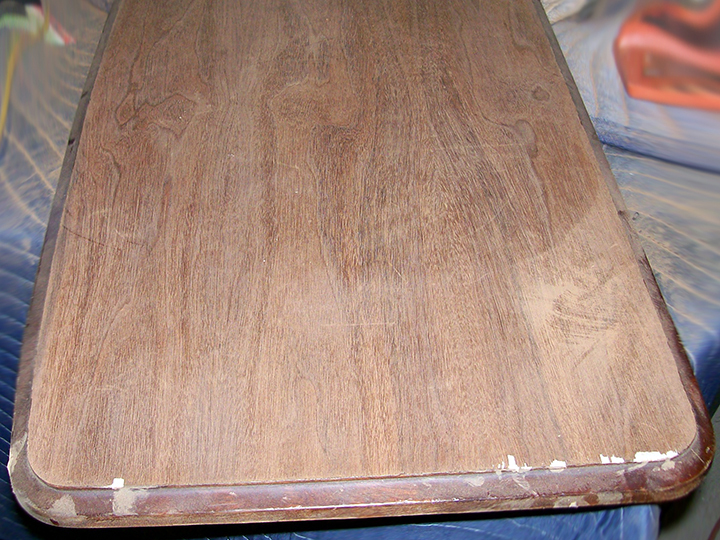 Years of accumulated damage from sustained use. Restored to its original condition and finish! 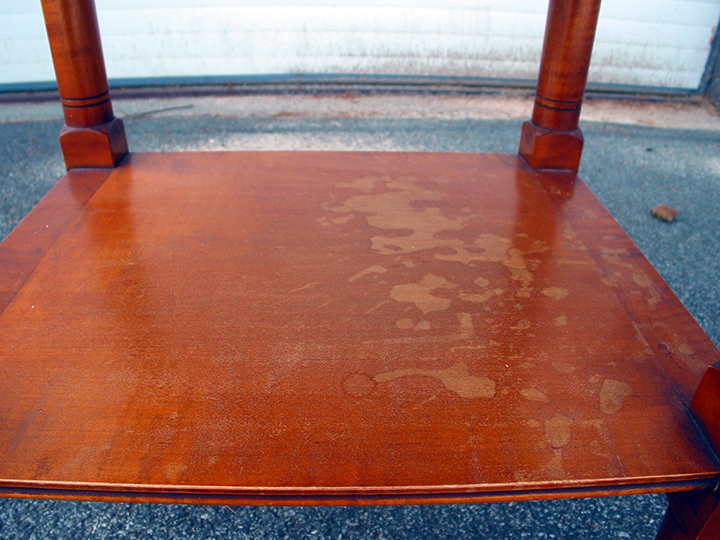 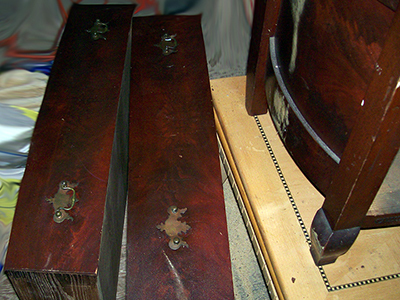 Significant moisture damage destroyed the top finish. 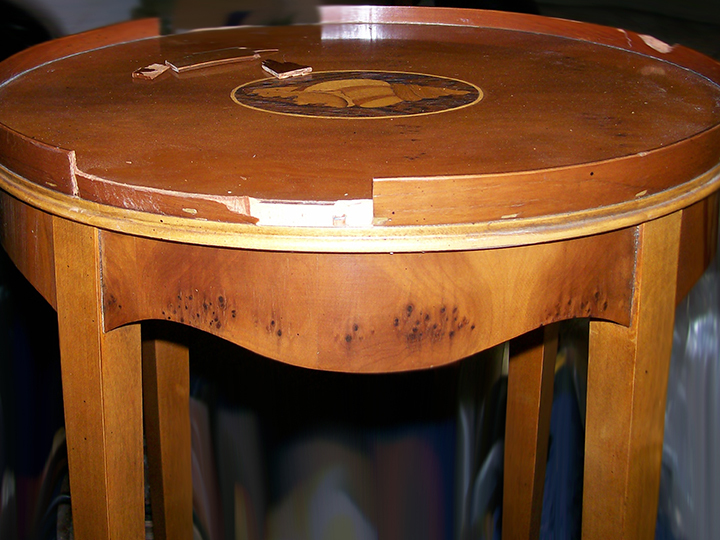 The edge banding of this table was severely damaged. 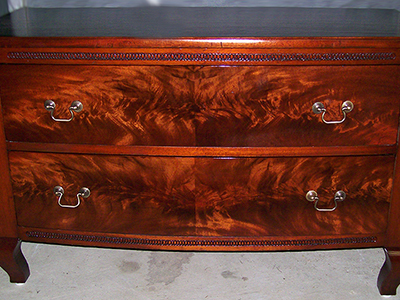 This chest was severely damaged in a fire. Another view of damage caused from heat, smoke, and water. Complete restoration as if the fire never happened! 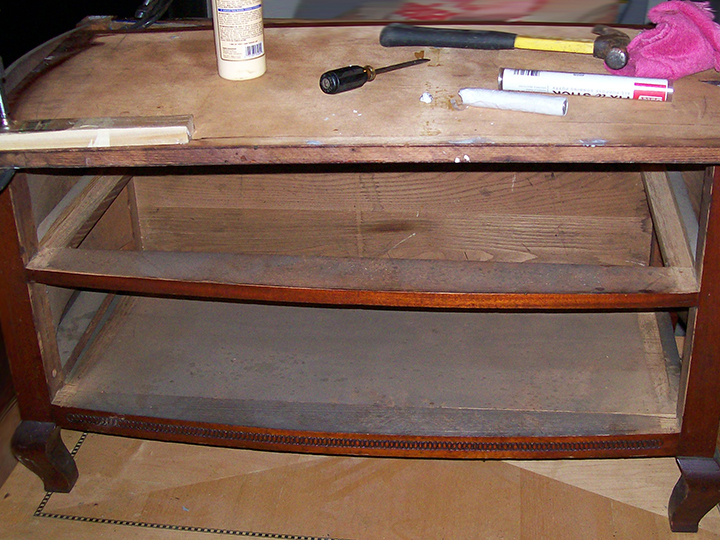 The bench experienced significant structural damage. 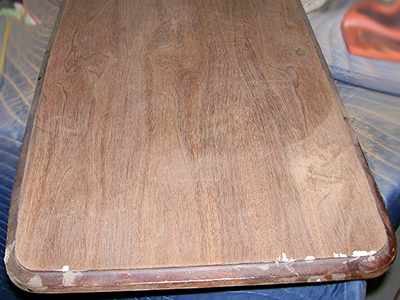 Damage to the bench top finish was extensive. 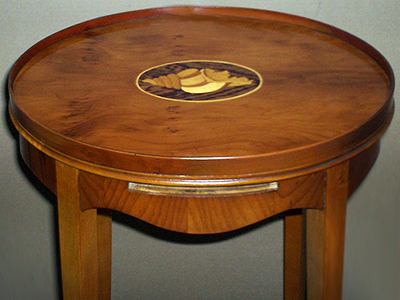 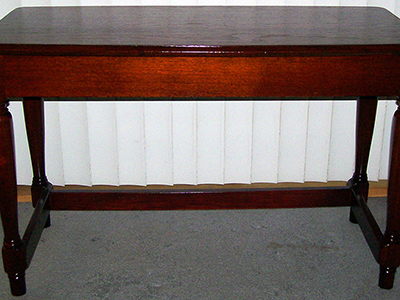 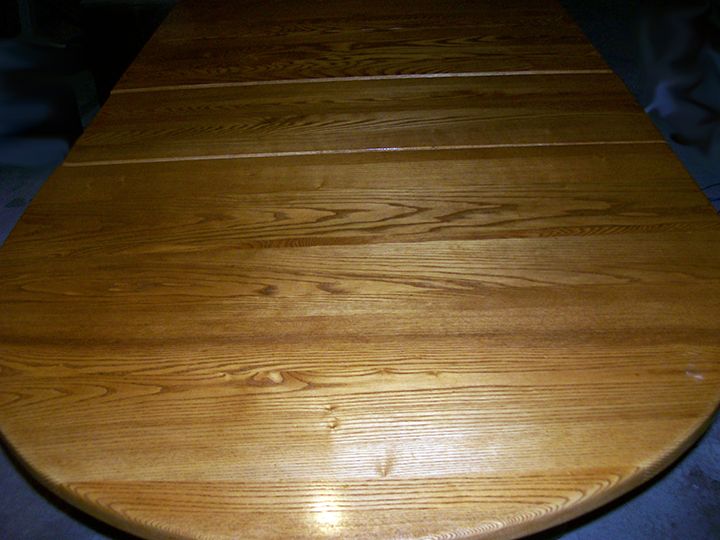 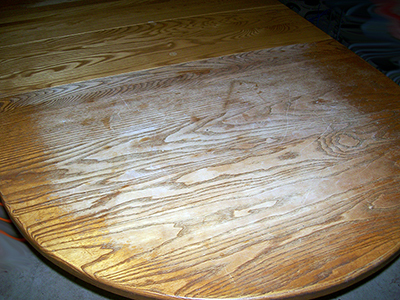 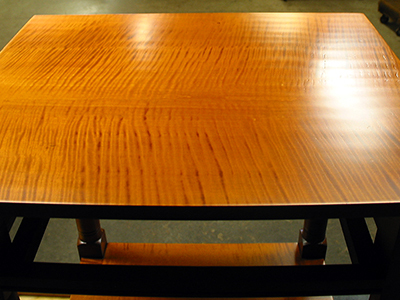 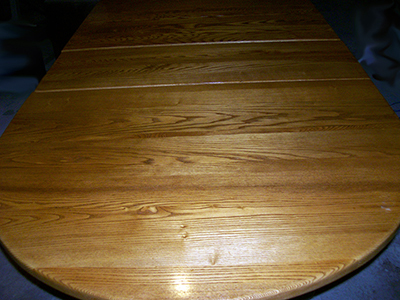 After years of service as the family table, the finish was worn and dull. 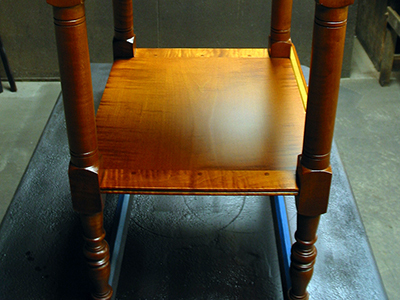 Like new after a complete refinish to the top.